Where there is disco, may we bring harmony! Yes, it’s true. I’m coming back! After a wildly successful run at London’s Theatre503 in December my show is gearing up for some more exciting performances. ‘But where?’ I hear you ask. Well, that is going to have to be my little secret for a little longer, but do keep an eye out for more news on this: my new blog! In the meantime, why not take a look at my previous reviews, which heap praise upon the artistic brains behind my show, my talented co-stars, and most importantly… ME! Thank you my darlings, and I’ll see you again soon! 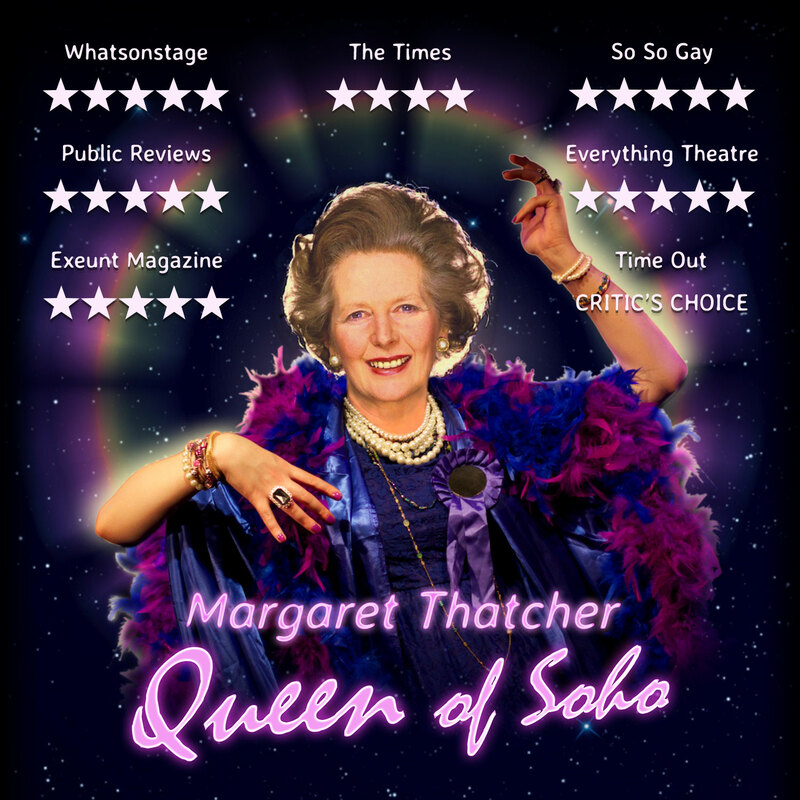 This entry was tagged Aine Flanagan, Jon Brittain, Margaret Thatcher Queen of Soho, Matt Tedford, Theatre503. Bookmark the permalink.